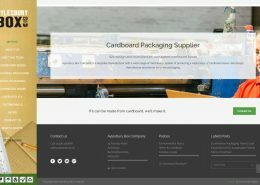 The website for Aylesbury based cardboard packaging company. The project started with keywords research that informs search engine optimisation, photography, copywriting and web hosting. Aylesbury Box Company is an established manufacturer and supplier of cardboard packaging. 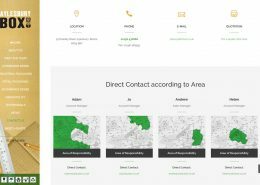 In recent years the company had seen a shift in customer demands and they wanted a new website that would better reflect their current services. 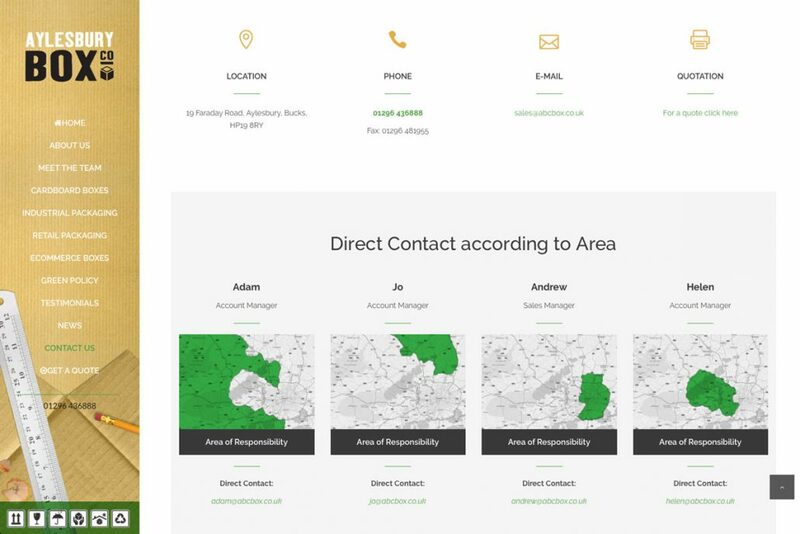 Aylesbury Box Company was keen to retain certain aspects of their old site, particularly some illustrations that had been specifically designed for the company. These illustrations, along with the company branding feature on the delivery vehicles and other marketing, so were important for brand recognition. 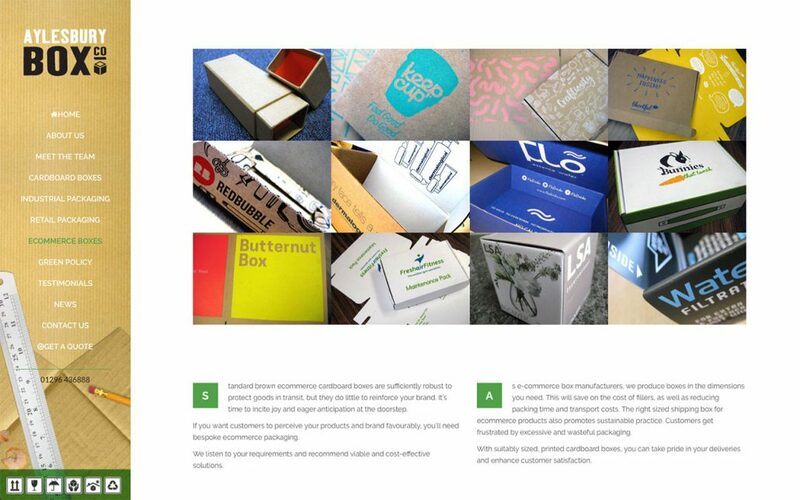 For a box manufacturer, the most noticeable omission was there were absolutely no pictures of boxes. Customers could not get any idea whether the company could supply the items they were looking for. A non-mobile friendly design and content that wasn’t optimised were other issues. 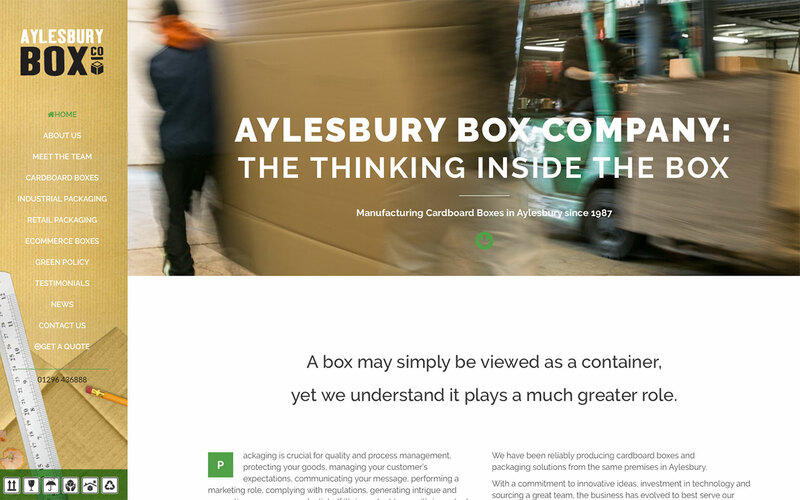 Framework Digital created a new, mobile responsive website for Aylesbury Box Company that really showcases their expertise. 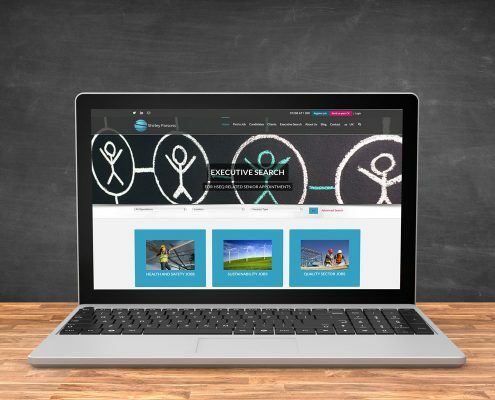 An integrated Content Management System (CMS) ensured that the company could make regular updates to the website. 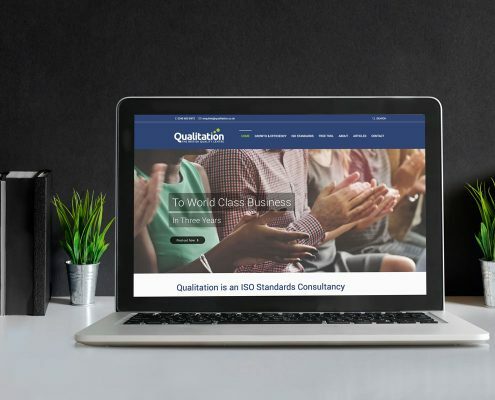 The installation of analytics allows for regular reviews of the improvements that the new website has made to the visitor experience and lead generation. 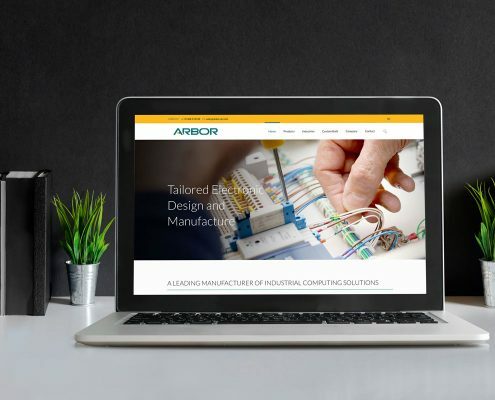 With a detailed understanding of the company’s values and the range of services available to customers, we prepared written content and a photographer’s brief. 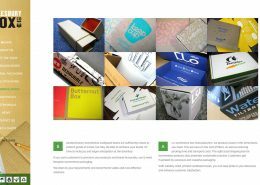 We engaged a photographer and combined images of the manufacturing processes, box designs and employees with the illustrations. 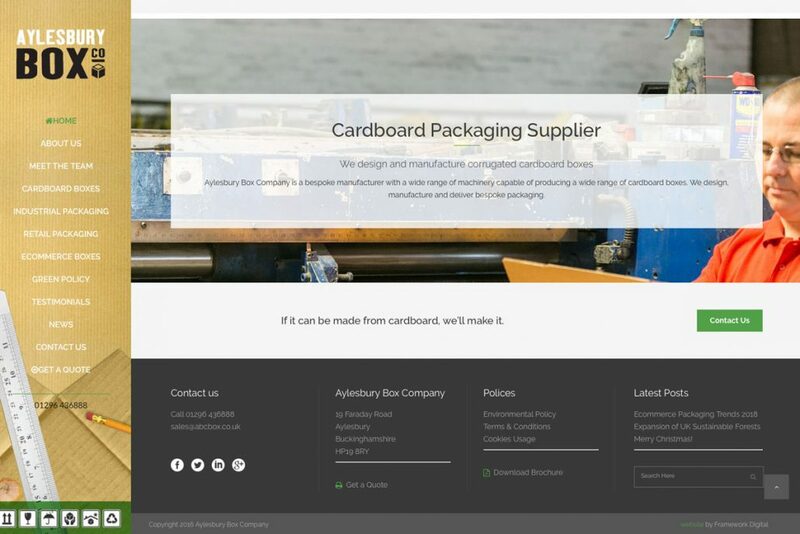 The new Aylesbury Box Company website went live at the start of June 2016. We retained the existing URL to keep the historic value in terms of the search engine rank. Six months after the launch and Google Analytics data showed that the number of visitors, the number of pages visited and the time spent on each page has increased. Traffic from the search engines had increased from 51.5% to 65.1% and traffic from social media had increased from 0.4% to 7.9%. 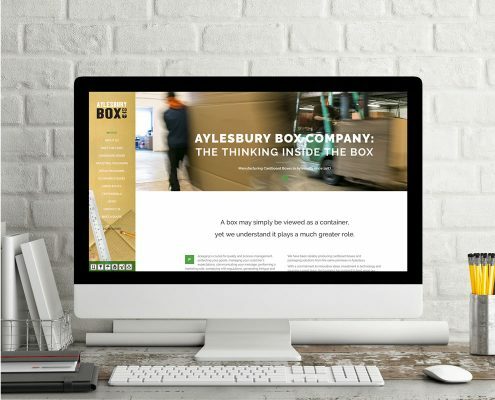 Most significantly, the website had successfully converted more visitors, with Aylesbury Box Company reporting an increase in enquiries to 10 per week average in 2017.